Tiden går fort og vi minner bare på om kursene som er å finne på årets Grorudtreff. Har du enda ikke sikret deg en plass så meld deg på via forumet scrapping.no eller send en mail og meld deg på her, husk og si hvilket kurs du ønsker og gå da det er lite plasser igjen. Viktig du må være påmeldt selve treffet for og delta på disse kursene. 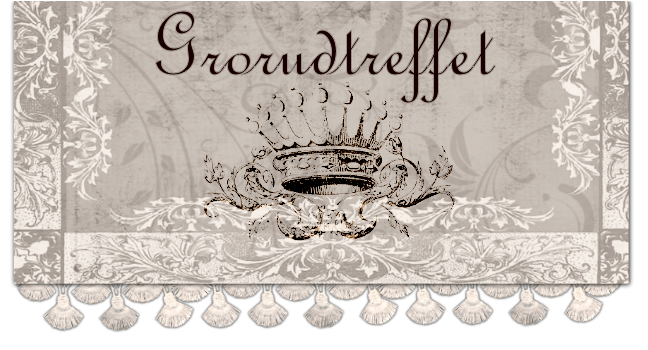 Time goes fast and we are getting closer to Grorudtraffet. This is a reminder of witch classes you can take this year at Grorudtreffet. Get your spot at scrapping.no or send us a mail with information on witch class you want a spot in. Remember to tell us what class you want in on since there is limitid space left on sevral of them. Important: You need to have a ticket for the gathering in order to have acsess to these classes. Do you want your layout to be really unique, with your own „personal touch”? You are bored with traditional, multi-paper scrpbooking projects and popular embellishments? Let me inspire you with some really cool ideas for creative, totally customized single paper layouts! You really don't need more than some ink and paper to create a spectacular background – let yourself to play with sprays, inks, masks and stamps and have great fun with designing your own embellies. The possibilities of using these supplies are truly amazing... and experimenting with them is pure fun! During this class I will share with you my experiences in creating layouts based on my favorite ink techniques: masking, spraying, ink-dropping, multi-layered stamping and elements of doodling. I'll show you several finished projects which will inspire you to experiment with color and shape and give some tips about layout composition and page balance. I'll tell you more about creating and customizing embellishments and I will show you some possibilities of using sticky back canvas - for image transferring and building up elements of your page. During this class we will create together 2 full size, freestyle layouts based on stamps and color products from well known manufacturers. 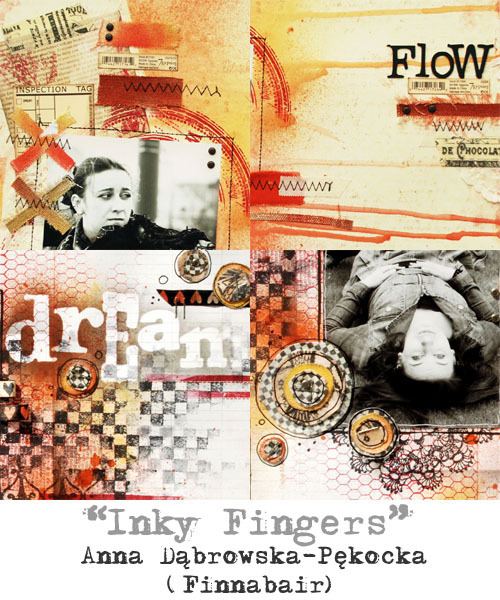 Give your scrapbook pages, new, a bit crazy, a bit funky look ... don't be afraid to express yourself.... and get your fingers dirty with ink! Mixedmedia Paper Layout Class (with paper, gel mediums, glimmer sprays, masks - and more! Some women are interested not only in pretty, colorful, soft embellishments – some of them can also see the beauty in metal and rust, texture and unusual shape... why not to experiment and mix soft and hard elements? Romantic and industrial? Women are full of surprises! During this class I will try to convince you that creating a grungy, eclectic layout is not hard at all: I will show you some finished projects and share my experiences from the creative process. I will make you look again at your embellishments and how you possibilities of using everyday objects as a part of your composition. I will create with the students a full size layout including products from well known manufacturers and demonstrate possibilities of mixing different medias, scrapbooking supplies and found objects to get layers, details and unique, baroque look of your project. We all use paper of different kinds – scrapbooking papers, old books or journals, vintage newspapers... they can be plain or patterned, with text or photos, but there's always a magic in every page. 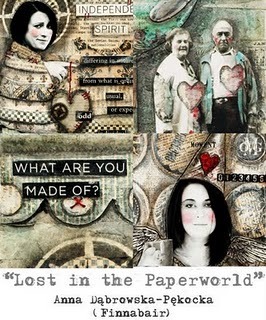 Paper is truly inspiring and things we can use it for are far beyond traditional scrapbooking layouts! 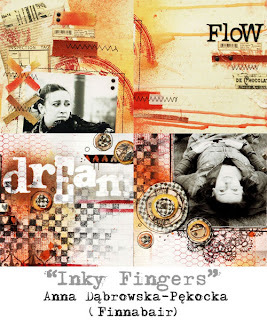 Mixing different types of paper together on one project, adding photos, color medias and creating a mix-media collage is the best way to fall in love with paper and paint – and this affection is deep and lasting for a life-time! For me it is amazing how the small scraps, random pieces and photos start its „new life” in an art project. Every collage is a small, separate fairy-tale, with its own parts, dramas and us – actors – lost in the middle of those Paperworlds. How cool is this? During this mix-media class I'd like to convince you that making collages its fun, easy... and liberating. There are no strict rules, no boundaries, just freedom of creating: all the meanings and the ideas are taken straight from the heart. Collages are also great for experimenting with new techniques, realizing even the crazy plans,mixing scrapbooking and non-traditional ideas. I'll show you my favorite techniques like masking, stamping and convince you to use medias which are not typical for scrapbooking like gesso, watercolors or multipurpose glues. I'll show you the different possibilities of using inks and Glimmer Mists – not only for spraying but also traditional painting and creating shades. You'll create, step by step your own, unique collage which will reflect your taste and personality. During the class we will work both with products from top scrapbooking and mixed-media brands and flea market findings. I'll show you different projects, share my experience, give tips about collage techniques I use in my projects and try to change a bit conventional “scrapbooking” thinking – you will be surprised what you can do with medias and tools you probably already have in your scrapbook kit! - Mixed-media shadowbox class with lots of techniques including gel mediums, inks, paint and more! Great fun with found objects and pure creativity. We are surrounded by inspiring objects: at work or at home, in the city and in the countryside – there are things which are usually not visible for us…they are too common, too plain to be noticed. But try to look around, open your eyes wider – I’m sure you’ll find real treasures all around you, and all of them have their own stories which want to be told! Take a second look in the drawer, check your attic, search through the wardrobe…or visit the flea market – the possibilities are endless and your creativity will amaze you – just give the chance to yourself and the little everyday treasures from your neighborhood. There are no boundaries in creating mixed media projects: you may give as much or as little elements as you want, you may use medias, paint and inks…and whatever comes to your mind too! Don’t be afraid to mix and blend and let your imagination free – it is pure fun! During this workshop I’ll try to convince you that beauty can be found everywhere – and it is waiting to be discovered. 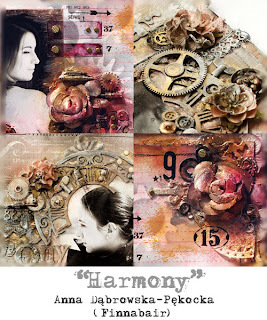 I’ll guide you to create your own mixed-media shadowbox, based on my favorite layering techniques and choice of embellishments, colored with a wide range of Tattered Angels products. 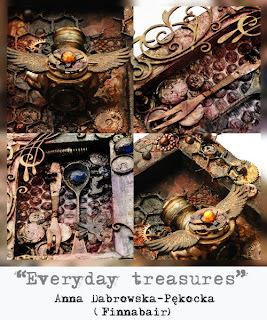 I’ll demonstrate possibilities of mixing different medias like gel mediums, paint, ink, scrapbooking supplies and found objects to get interesting layers and details on the unique grungy project. This workshop is suitable both for beginners and advanced crafters. Class time: about 3 - 3,5 h.
Og mens dere venter kan dere ta turen inn til denne kreative damens blogg . And while you wait take a look at this creative ladys blog.